This is a 4-day, 36- hour course. The PSRP™ course is an advanced course and NOT for the beginning police sniper. The course is conducted in a true advanced manner and students will need to demonstrate proficiency at every stage. The PSRP™ was designed to be the cornerstone for Public Venue Response and Deployment for SWAT teams. Optimally designed for a Police Sniper that is experienced and / or in an instructor role and has excellent skills of marksmanship, safety, and fieldcraft. The course is conducted in a crawl, walk and run progression. Students will be challenged with 100% round accountability and physical conditioning. Expect to move in kit with a purpose and shoot on demand. The course is ideal for agencies that are responsible for public safety at venues where large crowds attend and could be the target of domestic or international attack via gunfire, edged weapons, IED's, and / or vehicle ramming attacks. Students will learn not only the role of the police sniper in overwatch positions, but also best practices for their SWAT teams and other work groups that would be present on event day. New skill sets will be developed throughout and emphasized at the venue. Students will be required to successfully pass the range day before being allowed to live fire at the venue. Upon successful completion of the course, students will have the confidence through both training and documentation to intervene if necessary, to protect citizens at large scale events. If any student cannot meet acceptable standards on the range on Day 1 they will not be allowed to live fire at the public venue. They will be offered the option of remaining in the course and acting as an observer for their partner. If a student has a precision rifle and that rifle has had an unintentional discharge in the past due to mechanical defect / failure it is not allowed in this course. No armor piercing rounds, bonded, steel core, monolithic allowed. Acceptable rounds are A-MAX, Ballistic Tip and BTHP. IMPORTANT: IF YOU HAVE A REMINGTON 700 THAT HAS A HISTORY OF UNITENTIONAL DISCHARGES DUE TO DEFECT FROM TRIGGER / SAFETY, IT IS NOT ALLOWED IN THIS COURSE. NO EXCEPTIONS!!! 400 rounds of factory produced ammunition. NO RELOADS! No armor piercing, bonded, monolithic, or steel core or any round that exceeds 3000 fps from muzzle. BTHP, ballistic tip, A-MAX rounds are acceptable. NO handgun needed for this course. Mark Lang is a 25-year veteran of the Dallas Police Department and is currently in his 18th year as a member of Dallas SWAT. 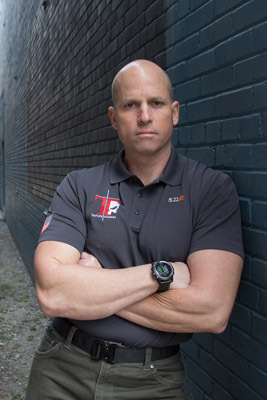 Since 2008, he and his team of instructors have taught Public Venue Response and Deployment courses across the United States and into Canada. Foreseeing the domestic and international terrorist threats at public venues, Lang's team trains SWAT teams in the proactive deployment at major events. With an emphasis on police snipers, operators, bomb technicians and command and control, many consider Lang to be the Subject Matter Expert (SME) in this field. With his curriculum having been taught to officers ranging from limited-use venues to Levi's Stadium for Super Bowl 50, his instructing cadre just recently completed their first NASCAR venue in May 2017.